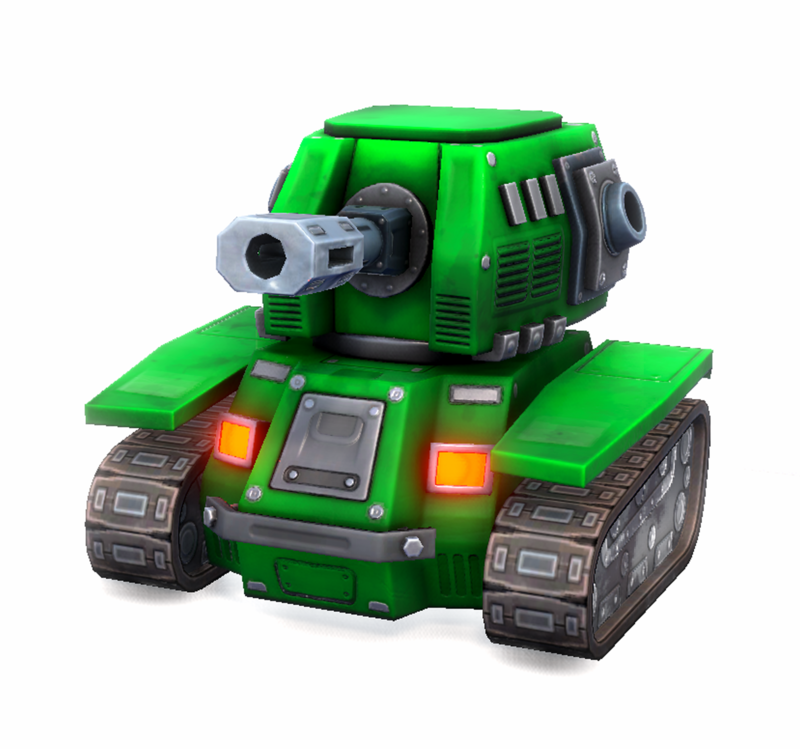 Battle Bolts is a 4 player multiplayer game where you lead your remotely controlled tank in the battle and wreak havoc on the 6x6 or 8x8 battlefield. Think ahead and plan your next 4 moves very carefully, as the opponents can be pretty unpredictable. Use board elements to your advantage and destroy opponents in a game of cat and mouse. Use your action moves like dash and strafe to pull unexpected stunts and confuse your enemies. Always be on the move! 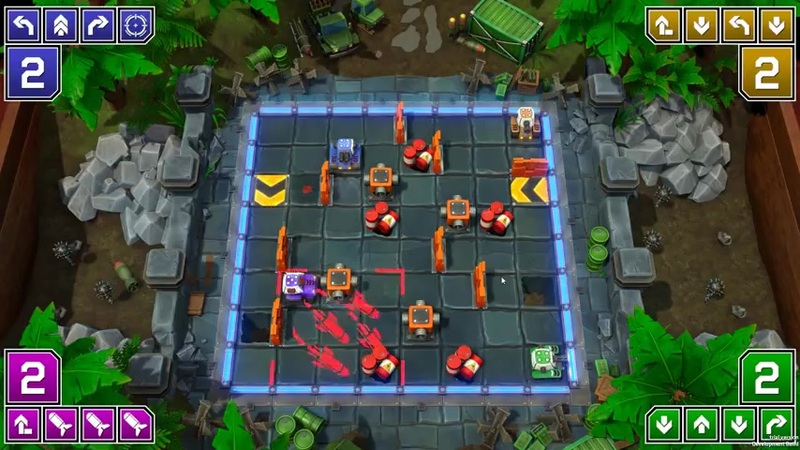 Arena tiles are not just an eye-candy; avoid pits, use conveyor belts to move around, hide behind walls, and watch out for surprises - as they can be deadly. Use power-ups to your advantage - tear them a new one! Remember that holo-chess game they played in Episode 4 while riding Falcon? 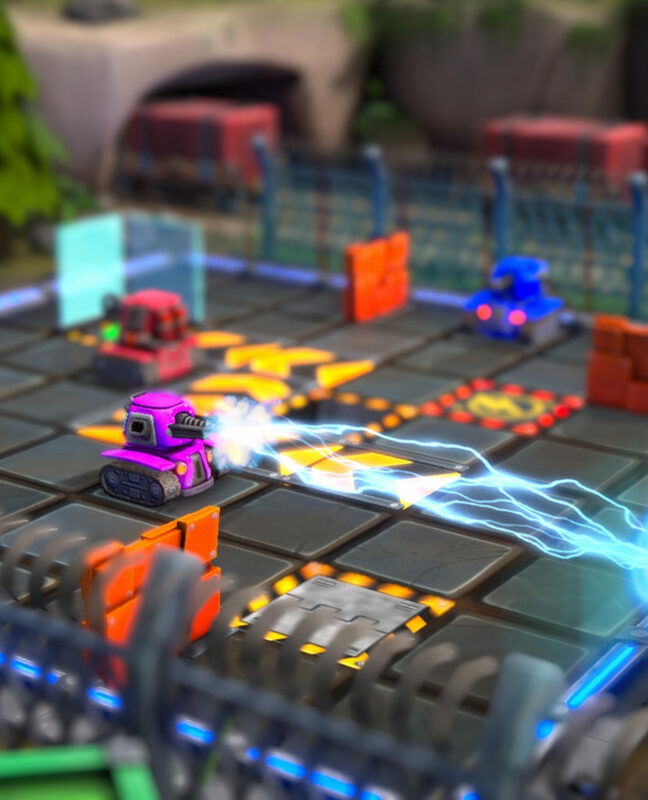 Now you get to experience that same thrill as Battle Bolts offer stunning real-life board game look, just more... alive. 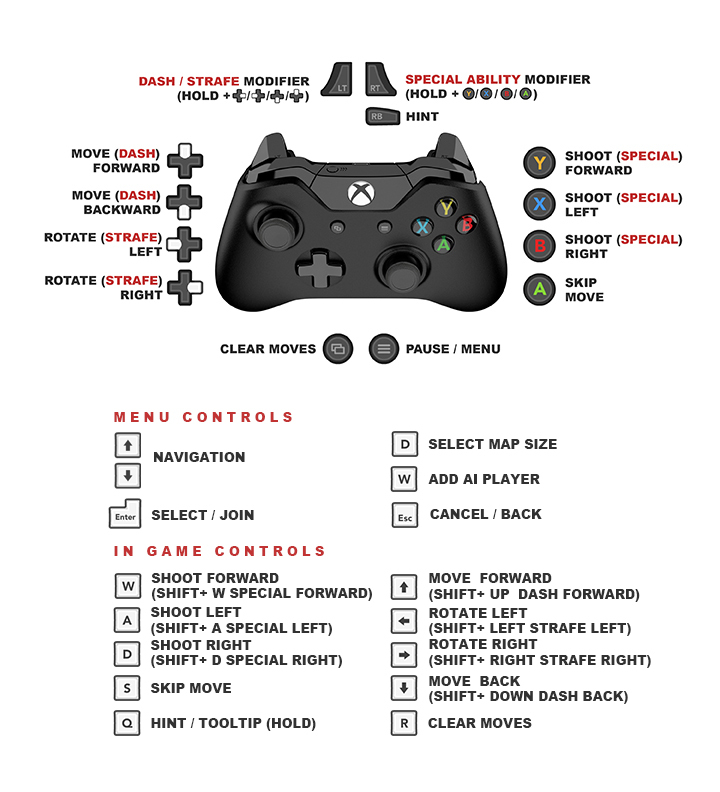 Go to war with up to 4 players online or offline (couch-versus). Nothing burns hotter then, well, fire. 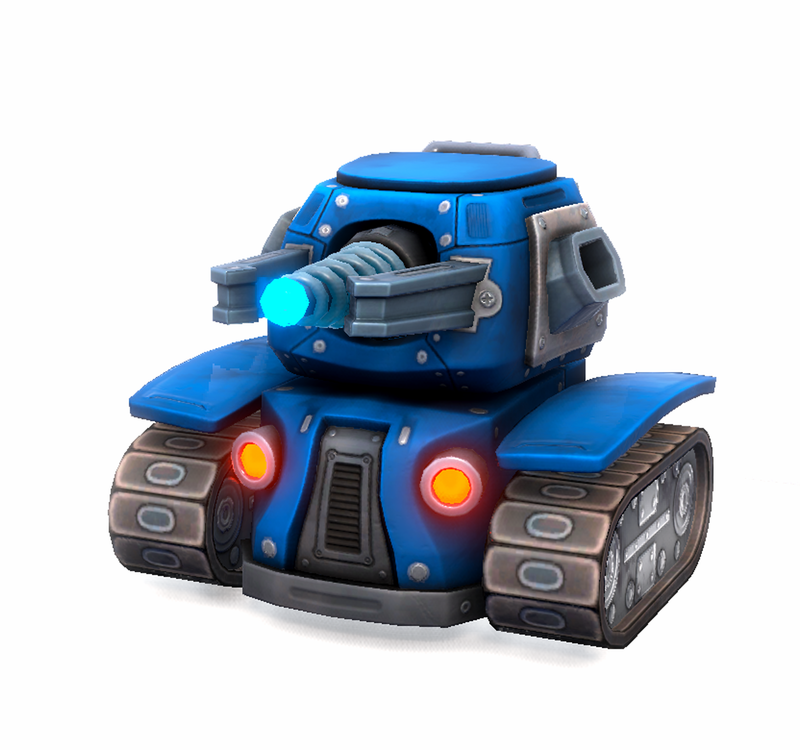 Use this tank’s hot balls of fire to your advantage and let the enemies burn! Napalm grenade that sets everything on fire. 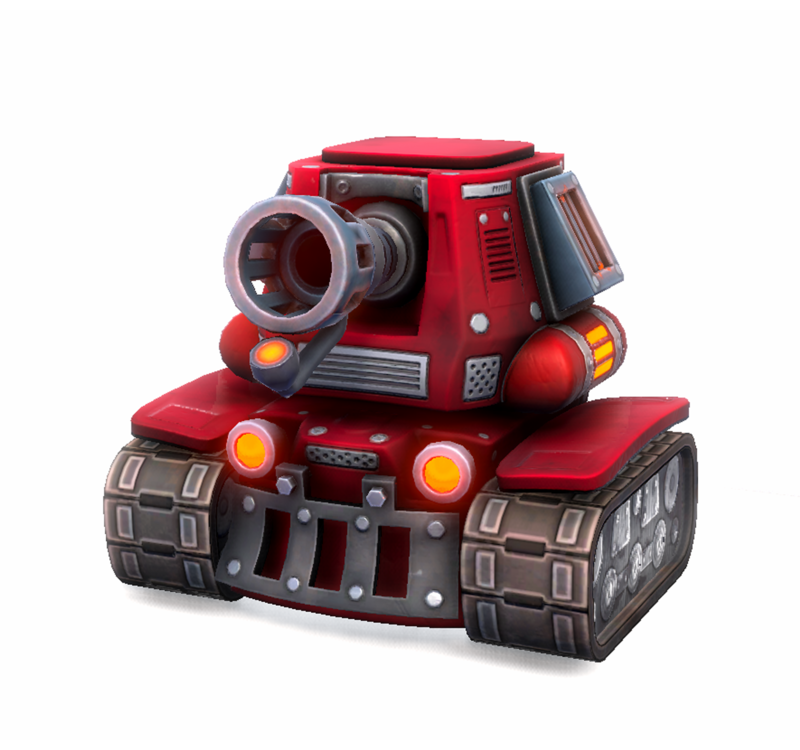 With this vampiric tank, you can drain life of your enemies to gain advantage on the battlefield. It’s as powerful as it’s scary, but once you test it, it will be love at first bite! Double heal on succesful hit. Single heal on succesful hit. Volt – Charge up, free your mind, chant your best Ooooohm and electrocute your enemies with your deadly powercoil. This remotely controlled Volt-Wagon is the peak of German tank industry. 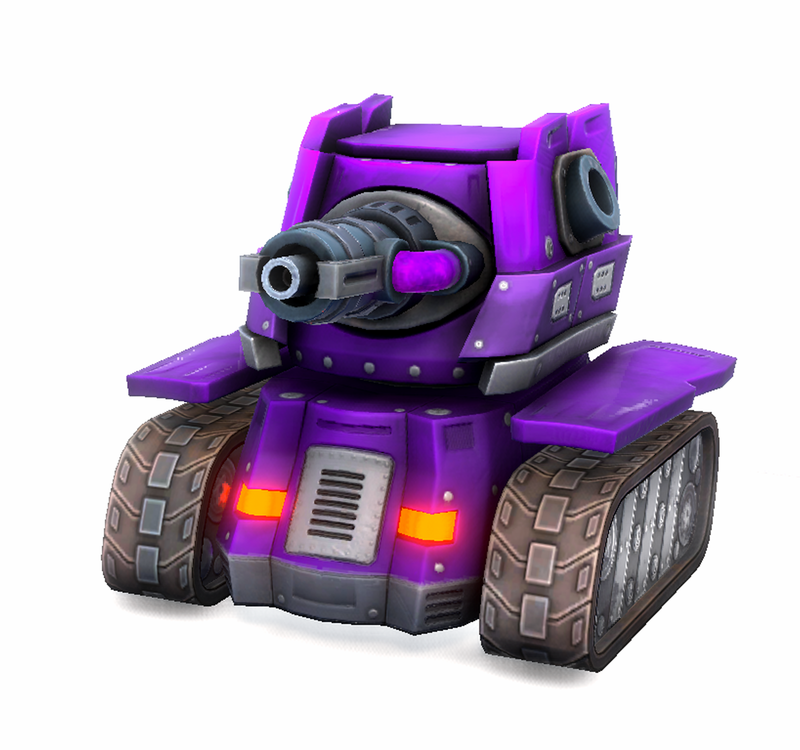 Bullseye – This RC tank is excellent long range sniper raining heavy damage on unsuspecting targets. When you blow up enemy tank, only thing your cold heart will feel is the recoil of your canon.